Updated 11/23/08: Check out this post for the correct dates and locations. Rach- stay home and get better- tour then your show wraps in May.... we love ya and want you to get well !! You are in our Prayers Rach! Does anyone know when Rachael Ray will be in the DFW,tx area? 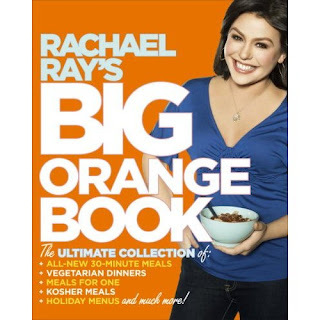 Rachel Ray schedule: 11/6/08 7:00 PM at Barnes & Noble – Union Square. New York, NY. 11/8/08 1:00 PM at Costco – Old Country Road. Westbury, NY. 12/15/08 5:00 PM at Barnes & Noble – SE Maynard. Cary, NC. 12/18/08 5:00 PM at Barnes & Noble – West 69th. Edina, MN. 12/19/08 5:00 PM at Barnes & Noble – Old Orchard Center. Skokie, IL. 12/5/08 7:00 PM at Borders Books – West Freeway. Fort Worth, TX. I hear a rumor that she might be in Cinncinatti Ohio is that true?? RR should really come down to south jersey!! RR should really come down to South Jersey! I noticed on this site Rachael Ray was going to be in Ft Worth,TX of West Freeway at Borders. I looked up Borders events for that location and Rachael Ray is not listed. Is she going to be there? Does she ever go to Utah or Nevada? I got an updated list of the book tour dates and locations. You can check it out here. No teasing intended! I just didn't want to delete stuff in an old post bc I consider that a poor blogging practice. To avoid any confusion, I went ahead and deleted the old dates. I apologize!